Dr. Sonny Goel is proud to offer custom Wavefront LASIK surgery at his Baltimore offices. Wavefront technology was originally developed by NASA to aid in the detection and correction of aberrations in telescopes and other astronomical devices. Today, Wavefront technology allows ophthalmologists to treat halos and glare, in addition to nearsightedness, farsightedness, and astigmatism. Dr. Goel has adopted this technology for use in his practice, helping patients to enjoy greatly improved vision during the day as well as the night. If you would like to learn more about how this ultra-precise form of LASIK surgery can help you or discuss the cost and benefits, please contact our office today. LASIK surgery is designed to correct the way in which your eye refracts light. The traditional method of determining how to treat refractive issues involves an ophthalmologist holding up two corrective lenses to the eye and asking which one produces a clearer image. Using Wavefront technology, Dr. Goel can more accurately assess your needs by shining an infrared light into the eye. The laser reflects off your retina, revealing how your eye refracts light and how severely that refraction is distorted. 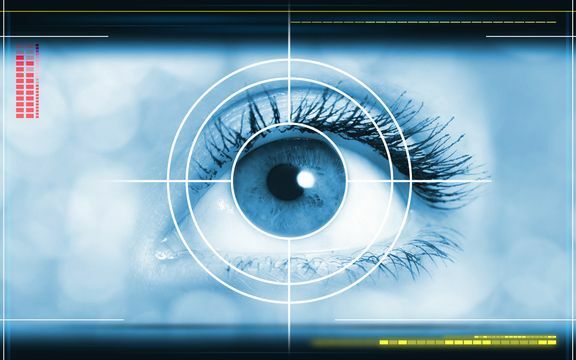 Based on this information, he can customize the LASIK procedure to meet your precise needs. If you suffer with halos, glare, and other night vision issues in addition to farsightedness, nearsightedness, and astigmatism, you may be a good candidate for wavefront-guided LASIK. This procedure uses the sophisticated imaging technology mentioned above to identify and treat the irregularities in the visual pathway that may be causing the glare and halos. Dr. Goel will conduct an in-depth consultation to determine if you are in need of wavefront-guided LASIK treatment. While wavefront-guided LASIK is used to correct higher- and lower-order aberrations, wavefront-optimized LASIK is used to prevent higher-order aberrations from developing as a side-effect. If you suffer from nearsightedness, farsightedness, or astigmatism, this method can help you enjoy a minimized or eliminated need for glasses or contacts, while reducing the risk of developing halos and glare to an absolute minimum. All of the LASIK procedures we offer cost the same, so you can rest assured that we are recommending the treatment we truly believe will provide you with the greatest benefits. In general, Dr. Goel prefers the wavefront-optimized procedure, but this largely depends on your specific needs. Dr. Goel is honest and open, and will give you a complete evaluation to determine if you are a good candidate for LASIK, and to determine which form of the procedure is best for you. He will take the time to answer all your questions and to make sure that you are completely comfortable with your choice. Don't wait any longer to begin experiencing reduced dependency on glasses and contact lenses. Contact us today to schedule your initial consultation.